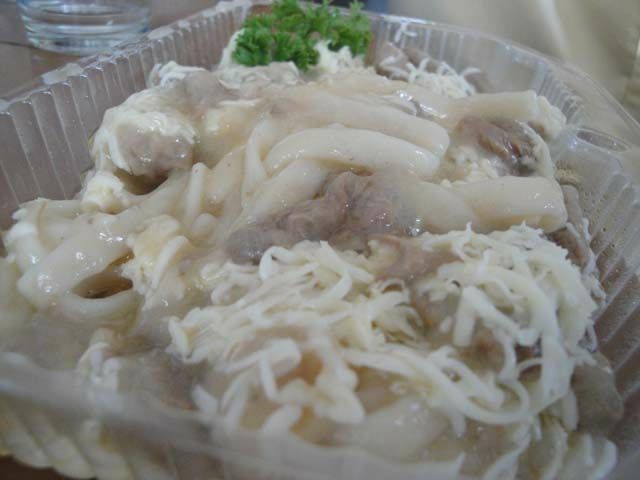 Beef Stroganoff, or sometimes called Beef Stroganov, is a dish which originated in Russia consisting of sautéed thin slices of pan-fried beef in a rich sour cream sauce. According to this recipe’s history, the name originated from the families of Count Pavel Stroganoff and Alexander Stroganoff. The original recipe called for the beef to be coated in flour, and then combined with sour cream, mustard and stock. When it became commercial in the US in the 1950’s, mushrooms and onions were also added. Because of its popularity, other countries have created their own variations. In the Philippines as well as in other countries in Asia, Europe and North America, it is served with wide egg noodles, while in some places, they opt for either bread or rice to go with it. Some countries have also used the red sauce instead of white. The secret to a delicious Beef Stroganoff is not to overcook the beef, and to use the sirloin or tenderloin. These beef cuts cook really fast. The best thing about Beef Stroganoff is its creamy and rich taste with the blend of beef, seasonings, mushroom and sour cream. It truly awakens your palate, and is a dish like no other. No wonder a lot of cultures have adapted this dish as well. 1. Cook the noodles according to the package instructions. Set aside. 2. Coat the beef strips in flour, and pan-fry very quickly in butter for about 2 minutes for every side. Remove from the pan. 3. Saute the garlic, onion and mushrooms in the same pan. Mix all the ingredients together for a few minutes until they become tender. 4. Add the sour cream, cream of mushroom soup, salt and pepper. 5. Put the beef back in the pan. Let it simmer for 25 to 30 minutes or until the beef is tender. 6. Sprinkle the grated cheese and mix thoroughly. 7. Put the cooked noodles in a serving dish, and top it with the beef mixture.